The Obermeyer Thermal 150 DC Fleece Mid-Layer works overtime to keep your little one dry and warm. 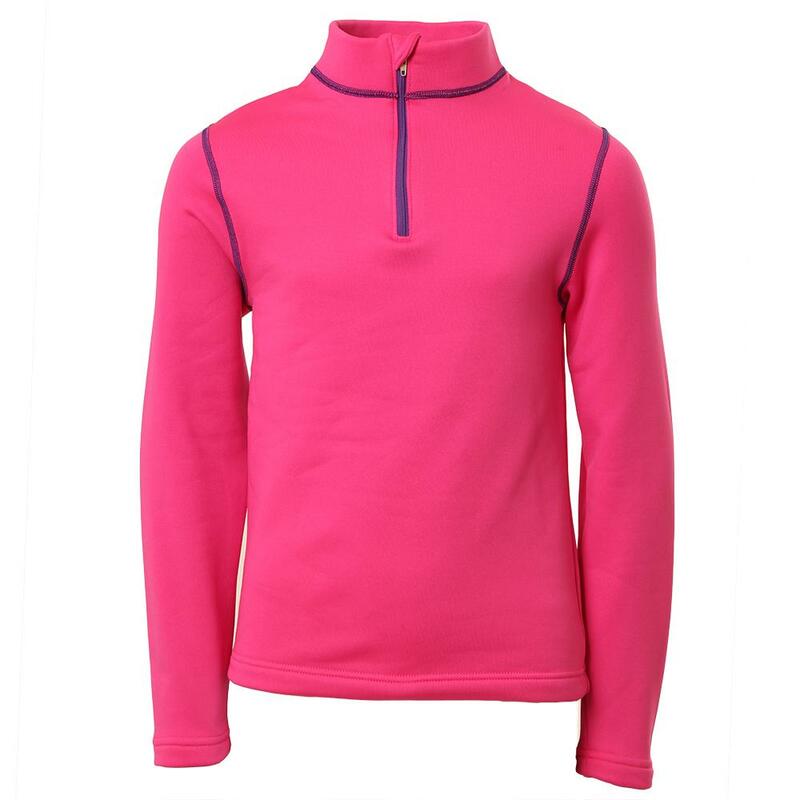 The fleece fabric is engineered for perspiration management. It pulls moisture off the skin and quickly transfers it away from the body. The Ultrastretch fabric also insulates and moves naturally. A mock neck, 1/4 zipper and fleece chin protector help keep your little one cozy. "Which Obermeyer size chart does this apply to, little kids or little kids base layer?" "Thank you for your inquiry. The correct sizing chart to refer to is the Little kids'/kids' Baselayer Sizing. We hope this information helps! " Ordered this for my 4 year old and it would probably barely fit a 1year old. Had to return.